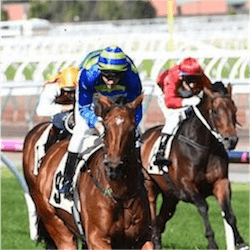 There’s plenty of Melbourne Spring Carnival action at the races this Saturday, when Flemington hosts Turnbull Stakes Day. The main race, a 2000m Group 1 classic for elite horses at set weights and penalties, goes back more than 150 years. There are four other high-profile gallops among the races on the card, so Kiwi online sports betting enthusiasts have lost of action ahead. A tight field of seven has been finalised for the $500,000 Turnbull Stakes, so an upset could be on the cards. The favourite is champion 6-year-old mare Winx, trained by Chris Waller, getting a strong nod from bookies at around $1.20. 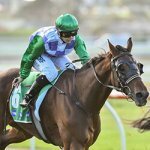 But Humidor, ridden by Damian Lane and at odds of around $4.60, could challenge her, although the other five will probably need rough going to make an impression. There are nine horses confirmed for the $200,000 Gr. 2 Gilgai Stakes over 1200m, with Spieth considered the most likely winner on around $2.50, despite a Barrier draw of 8. The 5-year-old new Zealand entire will have to see off threats from Silent Sedition, Bons Away and The Quarterback, but they are the only other runners priced at below $10.00, and none of them is offered at lower than $4.50. The $200,000 Gr. 2 Edward Manifold Stakes for 3-year-old fillies over 1600m, in contrast, has a field of 16. The clear favourite at below $3.50 is Leather’n’Lace, despite a Barrier draw of 12. Anchor Bid, drawn in Barrier 3, is the only other horse offered at below $10.00. The Gr. 2 1400m Blazer Stakes for 4-year-old mares, with a purse of $200,000, has had its huge field of 19 reduced to 17 by the scratching of Oregon’s Day and Shillelagh. Joint favourites at $5.50 are Petition and Missrock, although the latter is drawn in Barrier 5 and Petition starts from Barrier 15. Prompt Response and Ellikazoom, both at $8.50, could also be a threat, with Euro Angel hovering at $9.00. The Bart Cummings, a $300,000 Gr. 3 slog over 2500m for the stayers, has a middling field of 12 on the final card. 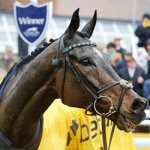 Almandin is the $2.05 favourite, followed by Harlem, Amelie’s Star and Crocodile Rock; all of them at under $10.00. Nicky Henderson has insisted that it is currently very unlikely that Altior will be taking up his entry in the 32Red King George VI Chase set to take place in Kempton. The star of the National Hunt racing side produced another incredible display for his seasonal reappearance at Tingle Creek, …. Kew Gardens has won the final Classic of the year with an impressive victory at the St Leger Stakes at Doncaster. Aidan O’Brien had five runners on the field of a total of 12, but it was Kew Gardens who crossed the finish line by two-and-a-quarter-lengths. The favourite Lah Ti …. Warrnambool trainer Patrick Ryan has chosen I’ll’ava’alf and John Monash to fill out the first two placings for the restricted steeplechase that’s set to take place on his home track. 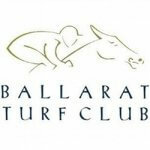 Ryan is hoping that the pair may quinella the $350,00 Grand National Steeplechase at Ballarat. I’ll’ava’alf, born and bred in …. The Balllarat Turf Club has been getting ready for the Grand National Jumps day, which will be taking place in mid August. There will be a number of new riders in the Australian jump racing circuit as three new riders are having a go at finding success in Australia. One …. 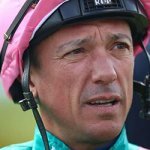 Frankie Dettori had recently been issued a 10-day ban due to careless riding on the track. 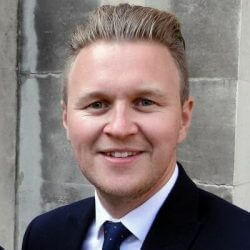 Both him and his barrister have been attempting to have the ban reduced, which would allow the rider to take part in some of this year’s biggest racing events, but it has been mostly ….